The hamlet of San Antonio is 2.5 hours from El Bagre, beyond the village of Zaragoza on a rocky, rutted road that becomes thick, orange muck when it rains, and it does so frequently. 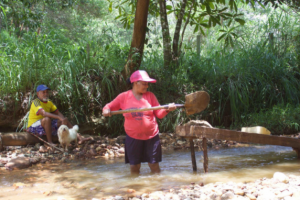 As Zaragoza fell into the distance and jungle predominated once again, we stopped to speak with a woman knee-deep in a stream, mining for gold with her portable wooden sluice, a kind that many in Antioquia use. It was perhaps 10 AM and she told us it was the 5th location she had already worked that day. When she empties her sluice of the heavier minerals left in the carpet, she’ll carefully wash the fine gold out of the fabric into her batea (traditional South American carved wooden gold mining pan). Usually she will then add mercury to the concentrated mineral in her batea and begin to work the toxic liquid metal and the mineral sand together, rubbing, massaging, round and round, kneading the gold and mercury into a putty-like mass with her bare hands. Maria Eloisa is going blind and her husband appears to already be blind, both afflictions a likely result of having worked with mercury their entire lives. There is no insurance or health safety-net for artisanal miners. A 5oz vial of mercury was visible lying in her batea on the bank but she didn’t use any mercury while we were with her as many artisanal miners have become shy about acknowledging their use of it, knowing mercury will become illegal to use when the Minamata Convention on Mercury agreement goes into effect in Colombia in 2018. Our visit to San Antonio had been pre-arranged by Lina Ospina, who works with an Alliance for Responsible Mining (ARM) project team there and when we arrived the community had assembled and were eagerly awaiting us. The President of the mining community, La Señora Dayanira, was the first to greet us and she immediately hugged me warmly, joyously. I had an overwhelming experience of having arrived home! The mid-day temperature was the typical high 90’s, with humidity also above 90%, but the warmth of the people far outshined the thermal reading… jubilantly welcoming, excited and hopeful; many wanted to have their pictures taken with me and pleaded for my frequent return to their village. 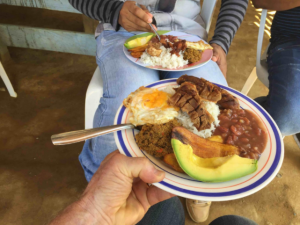 Following the gathering, steaming dishes began magically appearing in the community hall from their nearby homes and hearts, feeding everyone a most delicious and for me, a most memorable meal. We then walked to the school to meet the children.The next time I feel discouraged about life, these children’s bright, expectant faces will remind me that life is wonderful and it’s all possible! The community feels they are all but abandoned by the government, except for rare police visits to enforce the mining regulations and check for guerrilla activity. They feel resigned about ever having ready access medical care, passable roads for transporting their crops to market, a sewer system or reliable internet access. 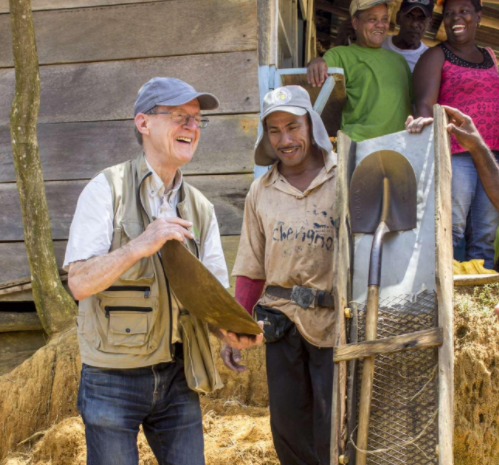 Both villages I visited on this trip, San Antonio and Puerto Claver, subsist on what gold the artisanal miners can collect from reworking the tailings (mine waste) of large-scale illegal mining activities of 5~ 20 years ago. 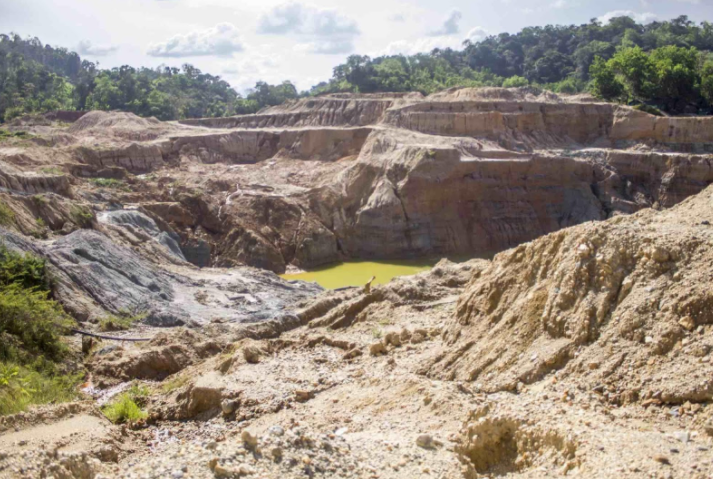 The illegally mined land is a shockingly barren moonscape… massive mountains of bare, eroding orange soil linked to one another by a chain of stagnant red-brown to neon-green mine waste ponds, an ugly contrast to the surrounding verdant, bio-diverse and life-giving jungle. 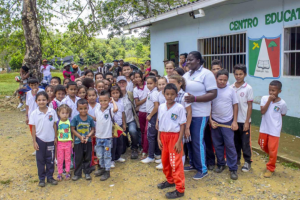 The community of Puerto Claver is committed to mining responsibly and, with the support of ARM, has undertaken a project of reshaping and restoring the travesty left by the illegal large-scale mining operations. They are returning their land to its original jungle contours, adding topsoil, fertilizer and planting trees, revitalized to its verdant beauty and diversity. Artisanal subsistence miners are aware that mercury is deadly and they don’t want to use it but’s it’s all they presently have that will allow them to capture fine gold particles somewhat efficiently, estimated to be between 30 ~ 60% effective. We have the tools, the resources and the will to inspire the discovery of safe methods far better than this! Our growing team is finding increasing enthusiasm for the timeliness of a $1 million prize offered to attract the world’s brightest innovators to focus their attention on solving one of the world’s most pernicious problems… mercury pollution. Challenges, incentivized by cash prizes are commonly creating extraordinary breakthroughs in some of the most stubborn problems that humanity is facing. Now is the ideal time for harnessing the power of converging technologies’ explosive growth, utilizing our massive computational power and unfathomable processor speeds, and attracting innovators who will discover a safe, affordable, highly effective mercury replacement method or material that artisanal gold miners around the world will readily adopt, ending the annual release of 1,400 tons of mercury that is poisoning all of us. The Mercury Free Mining Challenge (MFMC) is raising global awareness of the tragic circumstances artisanal and small-scale gold miners deal with every day and through awareness, the world’s will to contribute and transform this condition will arise. We invite you to join us in the Mercury Free Mining Challenge. Please click the link below to receive notice of our updates and breakthroughs. 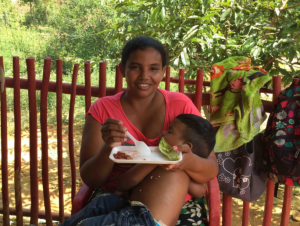 Your donations to fund the discovery of a replacement for mercury, a more efficient and non-toxic method of mining will forever impact the health of these wonderful people and life on the planet. Whatever form of participation you choose, I promise, you’ll be inspired by the difference you’re making!